The Switch had a strong launch mostly due to The Legend of Zelda: Breath of the Wild, but one of the system’s other best titles released at launch as well. 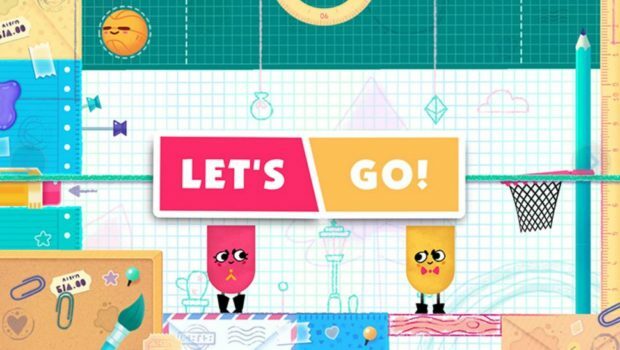 Snipperclips lets you and a friend, or three other friends, team up as little paper people. The core mechanic of the game lets you and your friends cut up each other’s bodies, and you’ll need to use that ability to solve a wide variety of puzzles. Mario+Rabbids is primarily a single player affair, but after beating the first world you’ll also have the ability to play co-op. The game’s co-op comes in five different campaigns, each of which have you and a friend playing through various challenges with two teams. Mario+Rabbids is a strange ride, made even more fun with a buddy. Call of Duty has long been a staple of couch co-op gaming, and WWII is no different. The series’ famously popular zombies mode returns, letting you and a buddy jump in to fend off waves of the undead. Of course, if you start to get tired of zombies you can always jump online with some splitscreen multiplayer.Sadly, however, WWII’s campaign is not playable in splitscreen. Super Mario Odyssey may not seem like the obvious choice for a co-op game, but it can certainly be a blast. While it is a traditional 3D Mario game, you can play co-op by having one player control Mario, and the other control Cappy. It’s a little more involved than single player, letting the Cappy player collect coins, remove obstacles, boost Mario jumps, and more. JRPGs aren’t generally known for being co-op games, but Tales has a long-standing tradition of letting two players pick up a controller. Tales of Berseria lets two players take control in every battle in the game. Of course, it’s still a lengthy JRPG with plenty of cut scenes and exploration. Still, if you have a friend that’s into this kind of experience, Berseria isn’t a bad choice. Nex Machina is a twin-stick shooter that can stand up there with the best of them, filling your screen with crazy enemies and flashy attacks. The game feels like a throwback to the arcade hits of yesteryear, and its great pacing helps things flow smoothly. Two players can play through its entirety, making it the perfect option for an evening of gaming. There’s an entire genre of Diablo-like games out there, and fans are always looking for a good co-op title. Vikings – Wolves of Midgard doesn’t have quite the depth or storytelling of Diablo, but it’s a good Diablo-like with a unique Norse setting. Two players can play through it in co-op, and the game even throws in some unique gameplay elements like having to contend with the cold. Sonic Mania brought a glorious return to the blue blur of yesteryear, and it’s the best title we’ve gotten from the series in a long, long time. Its retro aesthetic has you blazing through hills and jumps as Sonic, and even better, your friend can jump in as either Tales of Knuckles. The Switch had a strong launch mostly due to The Legend of Zelda: Breath of the Wild, but one of the system's other best titles released at launch as well. Snipperclips lets you and a friend, or three other friends, team up as little paper people. The core mechanic of the game sees you and your friends cut up each other's bodies, and you'll need to use that ability to solve a wide variety of puzzles.